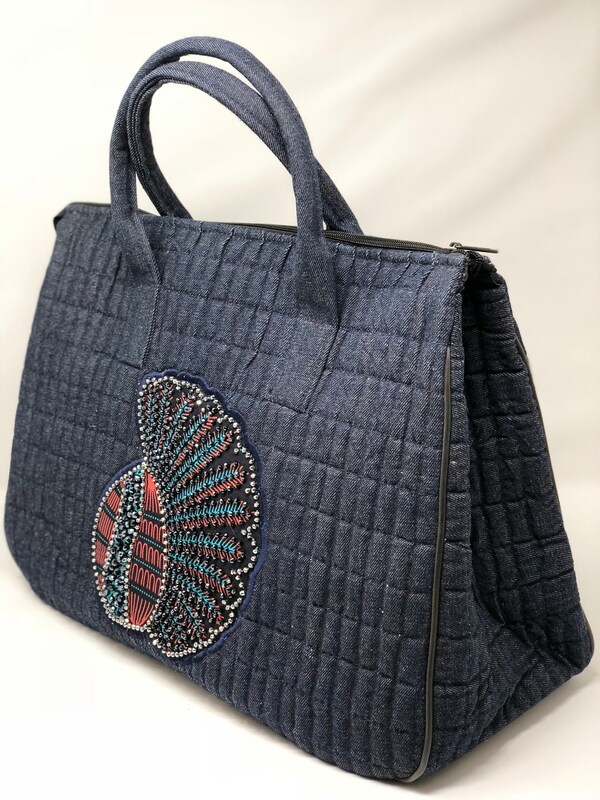 A beautiful handmade large dark Blue Denim duffel handbag. 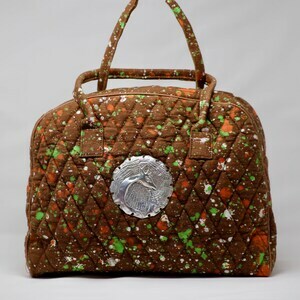 One of a kind and not duplicated. 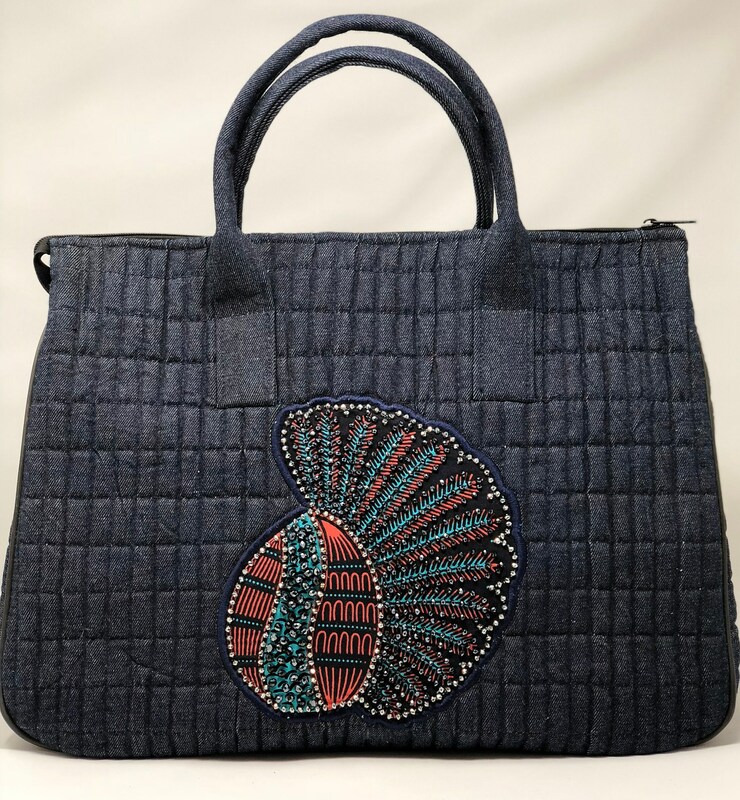 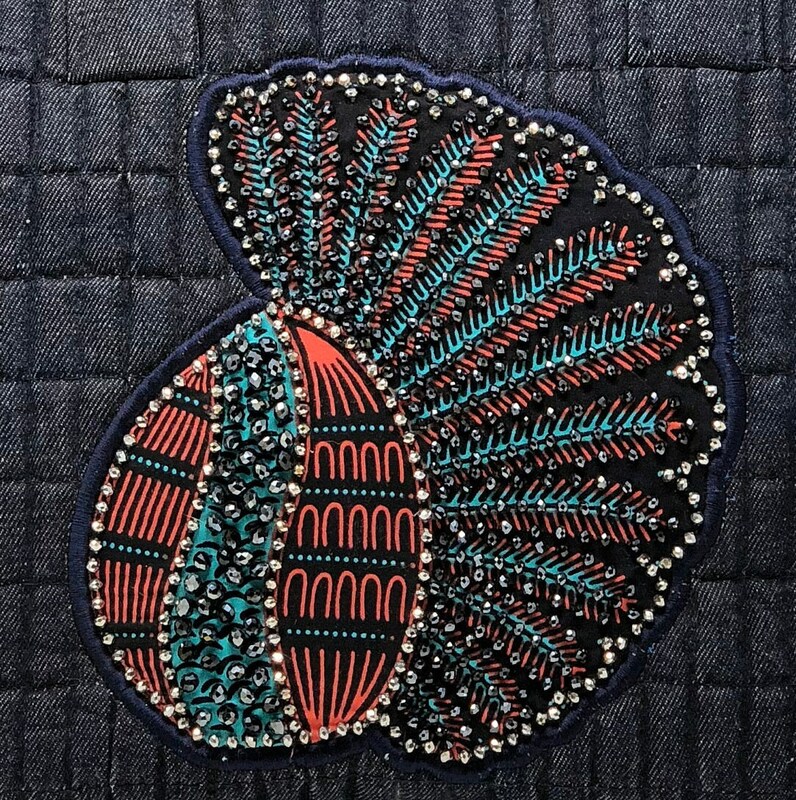 It's adorned with an African Printed fabric that's embellished with hand-beaded crystals.This bag is very sturdy and will look better as it ages. 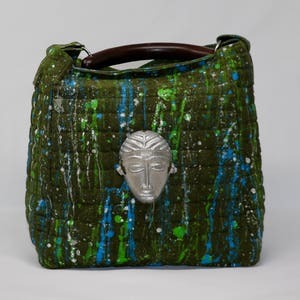 This large statement bag can be used with a dressy and/or casual outfit and can carry all your basic necessities. 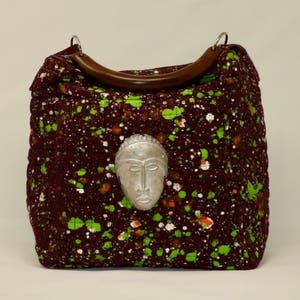 It is ideal for a professional that carries a laptop computer or can also be used for as an overnight bag. 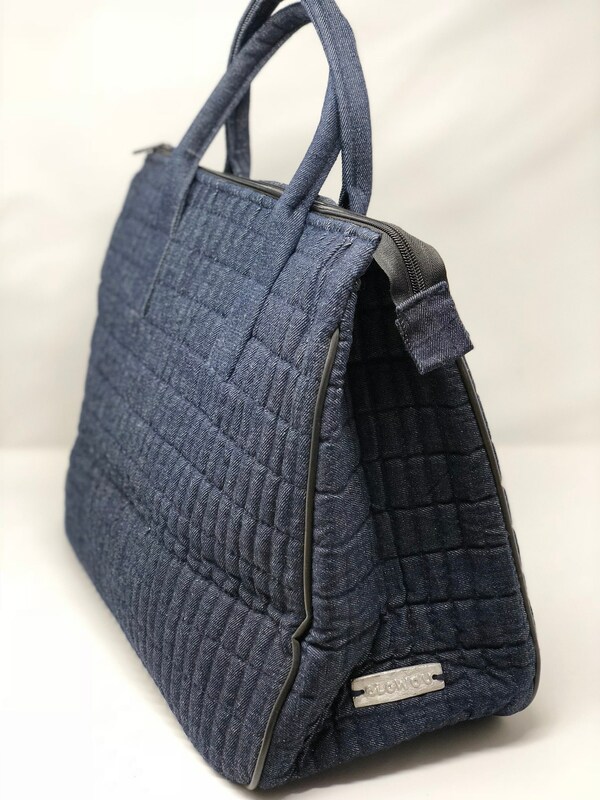 The interior has 2 small open pockets to hold your keys, cards etc and a larger zippered pocket to hold more of your items. 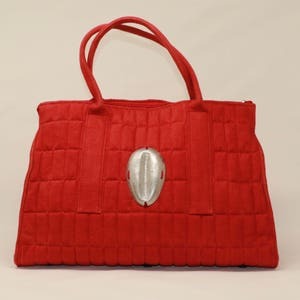 The bottom bag has a wooden base to keep the base flat and it can easily be removed to facilitate folding down the bag.